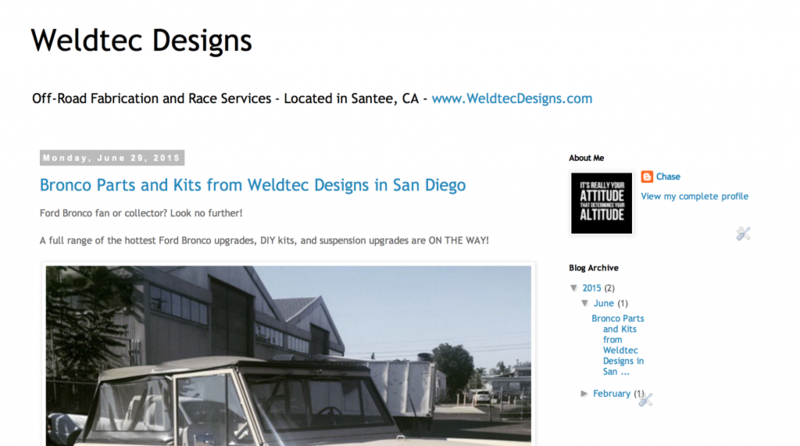 Weldtec Designs is on the Blogspot blogging platform! We’ll be posting occasional updates regarding new product launches and highlighting some of our higher-profile builds and custom projects. This entry was posted in Site Updates and tagged blog, blogspot, bronco, social networking, weldtec, weldtec designs.